Each individual continent can be colored and customized. You can change colors, add a star for an office, add text. 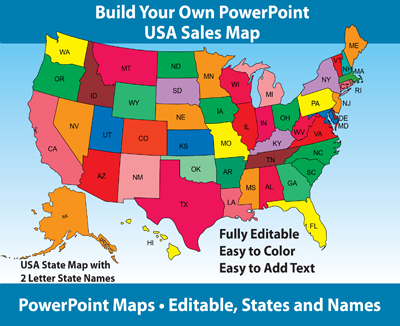 Each map comes already placed into a PowerPoint slide ready for customizing.